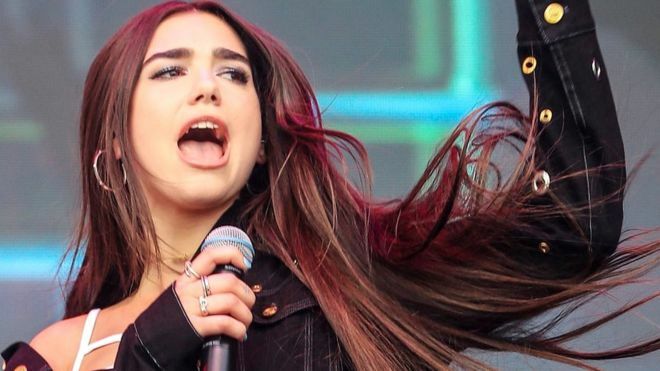 Dua Lipa has spoken out about sexism in the music industry, saying women struggle to get recognition. “For a female artist, it takes a lot more to be taken seriously if you’re not sat down at a piano or with a guitar,” she told GQ. The 22-year-old co-wrote the majority of her Brit award-winning debut album. Speaking in 2016, she said she had worked on more than 130 songs for the record and “learned a lot from the co-writers that were coming in to help me – the bones of how to write a proper song”. A major breakthrough came on the early single Last Dance, she continued. “It was the song where we figured out what my sound was going to be. The beat, the darkness, the lyrics, the pop chorus. Dua’s difficulty in gaining recognition is not uncommon. In 2015, Bjork noted that musician Drew Daniel – aka Matmos – had been credited with producing her Vespertine album, despite the fact she’d written “80% of the beats” on her own. A year earlier, Lily Allen made similar comments in the NME. “You will notice of the big successful female artists, there is always a ‘man behind the woman’ piece. If it’s Beyoncé, it’s Jay Z. If it’s Adele, it’s Paul Epworth. Dua went on to tell GQ how important the #MeToo movement had been for women in the entertainment industry.